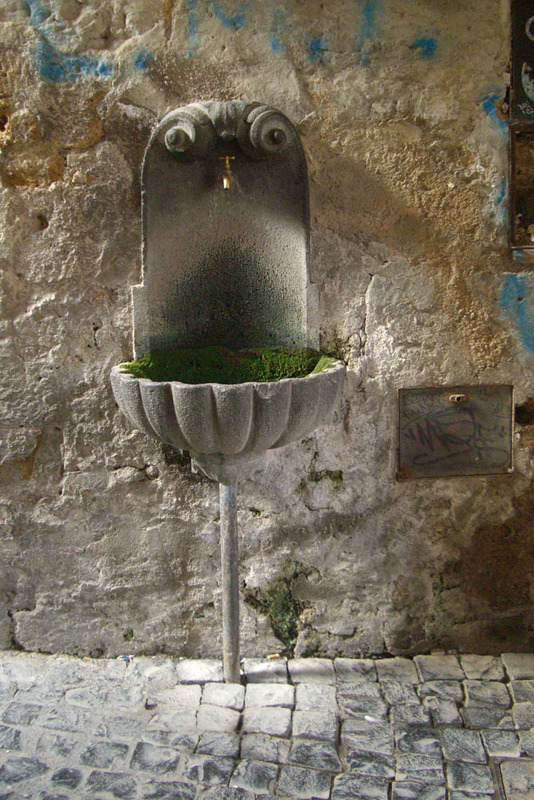 Picture of the Week: Drink Me? Every part of Orvieto, Italy exude history. It is thrilling to imagine Etruscans and Romans walking down these same streets. When colors are limited to the subtle differences of walls and cobblestones, pattern, texture and the play of light become the stars. 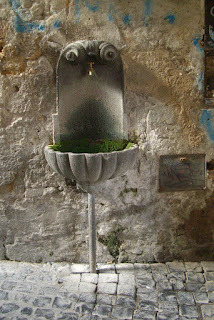 This fountain has a magical look to it, but no, you will not be seeing me filling my water bottle here.